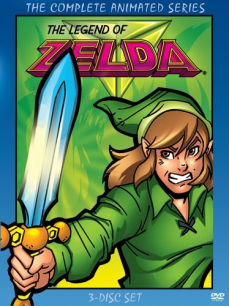 This is about ripping off Robin Hood, out of sorts Ernie Hudson, and Link in a skirt with no pants. Click [HERE] to excuuuuuuse me, Princess! Was this the last one ever? As much as I didn't care about the content in the last couple of years I'm still sad to see this go. My first podcast ever was the Macross 7 podcast. It then branched me over to AWO, GME, and others. Those first 50 podcasts were some of my favorites ever. Wish he would've ended on something better than this.